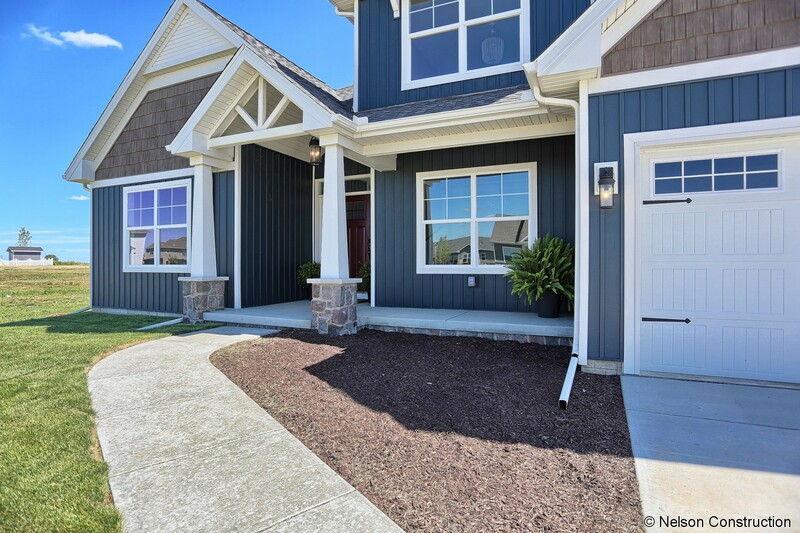 The exterior of this new Cherrydale home by Nelson Builders is a wonderful addition to the Whisper Meadow subdivision. 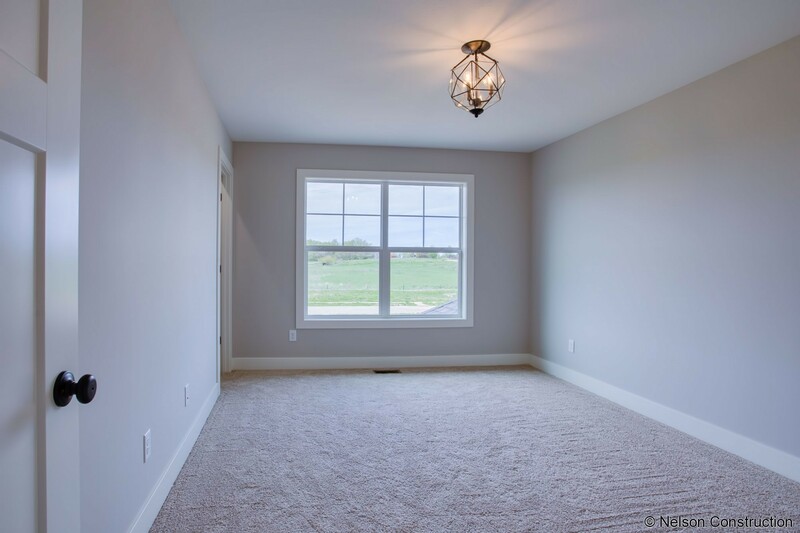 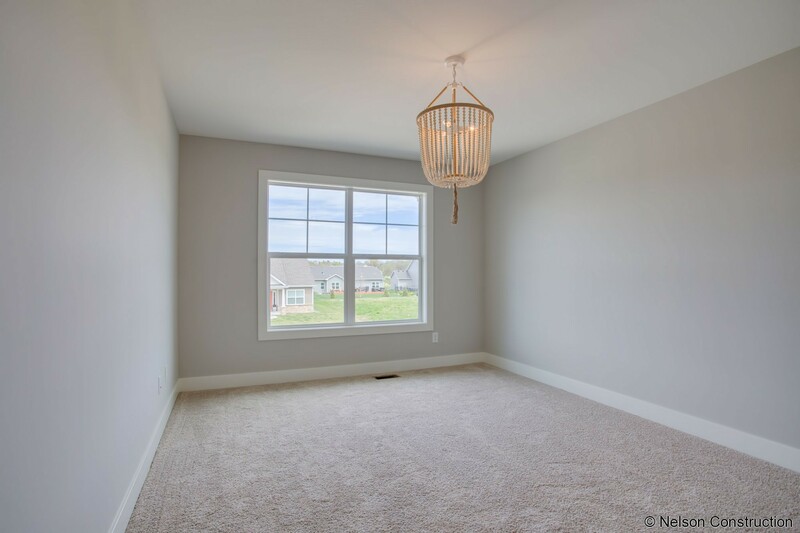 The light and airy first floor master has a large double window that overlooks the front yard. 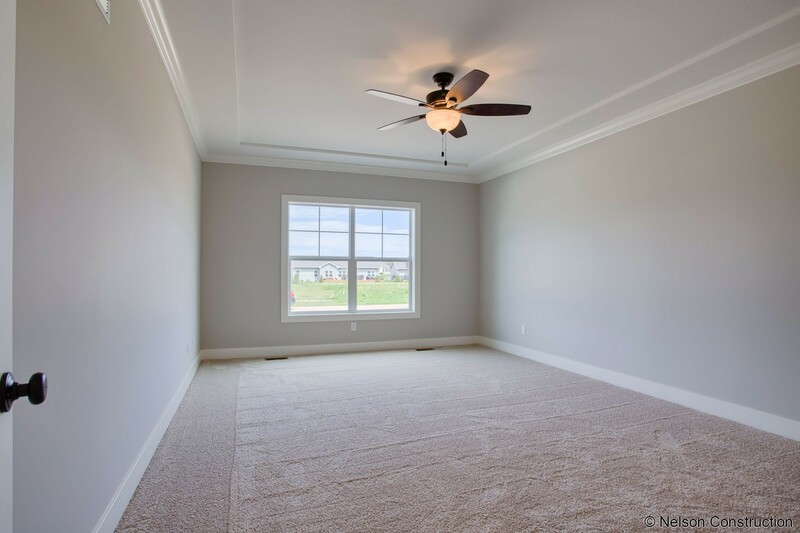 One of the 4 large bedrooms in this Cherrydale plan by Nelson Builders. 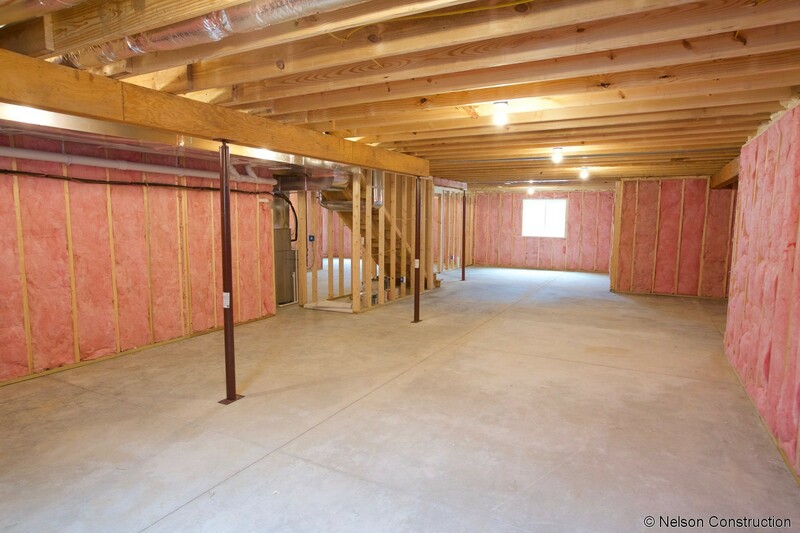 The unfinished basement of this new home by Nelson Builders has a tremendous potential for finishing or storage. 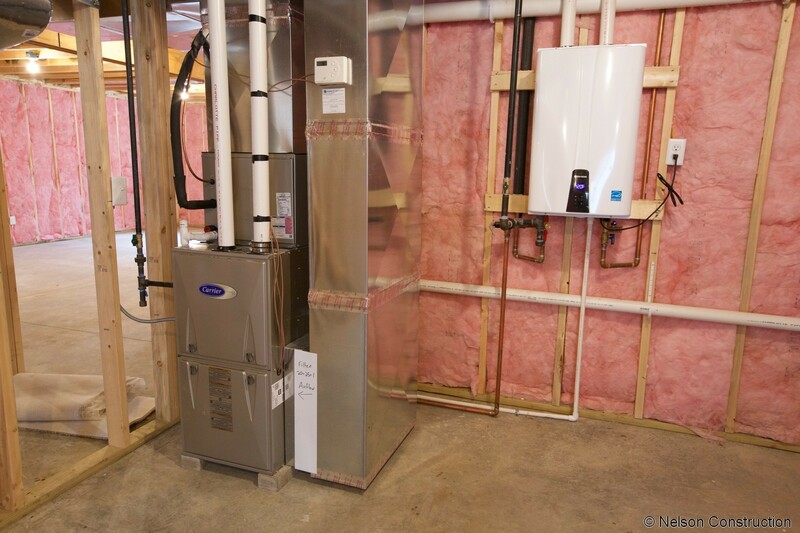 The unfinished basement of this new home by Nelson Builders features a tankless water heater and upgraded HVAC equipment. 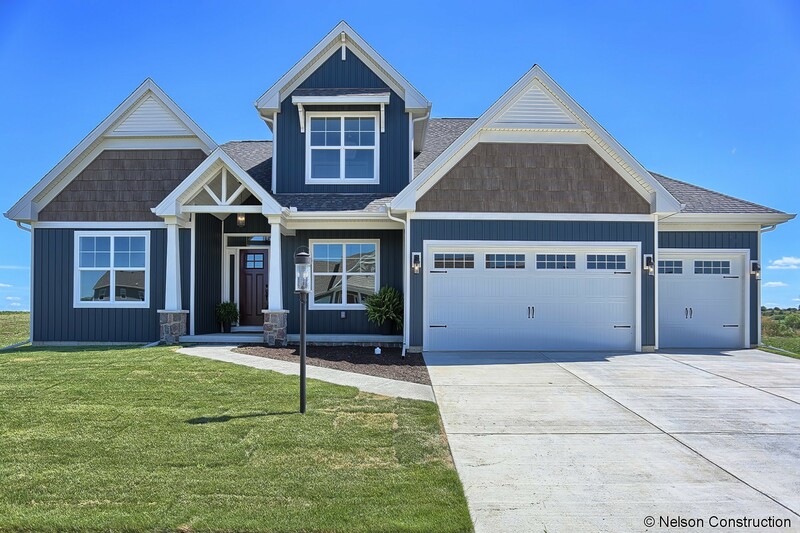 You will love the many upgrades and designer features throughout this new, character filled, 1-1/2 story, 4-bedroom, ENERGY STAR Certified home by Nelson Builders. 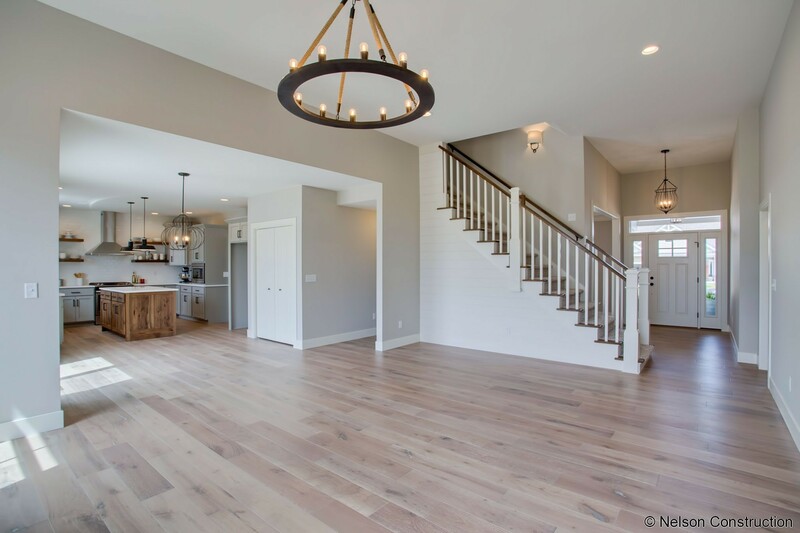 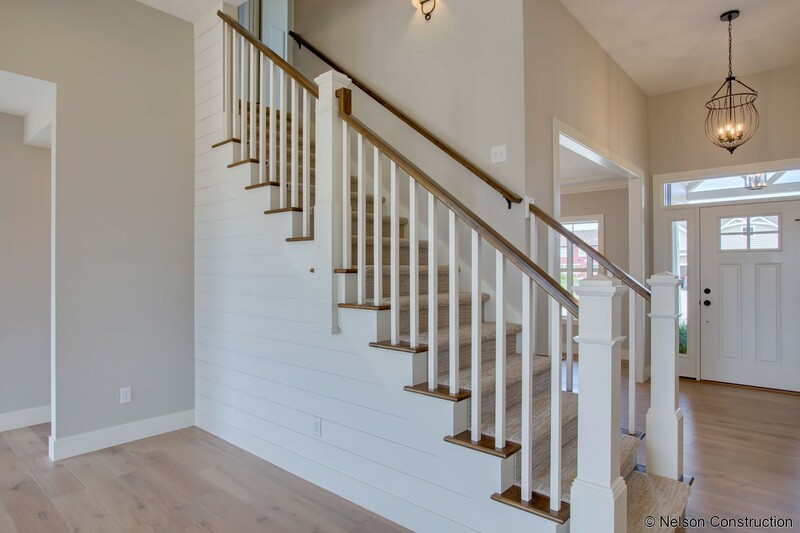 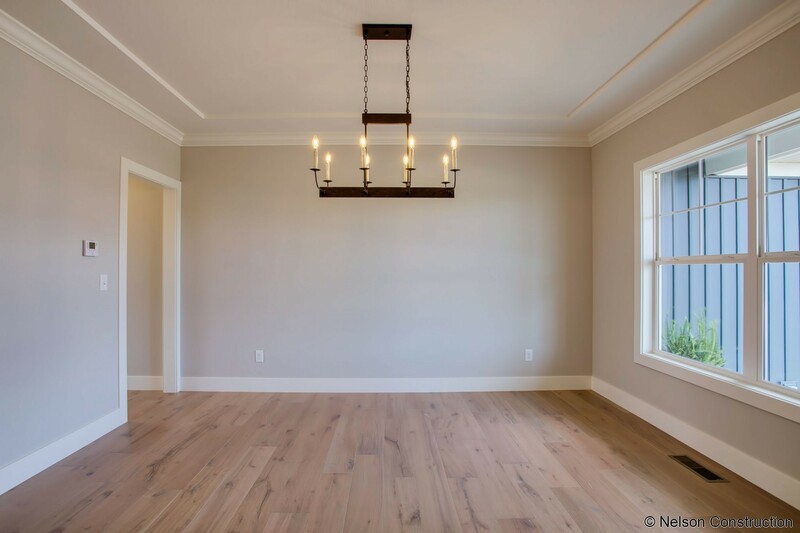 Upon entering the foyer with its 11-foot ceilings, you will notice this showplace features 7-1/4 inch, wide plank, wire-brushed, wood flooring, shiplap accents, and designer selected lighting. 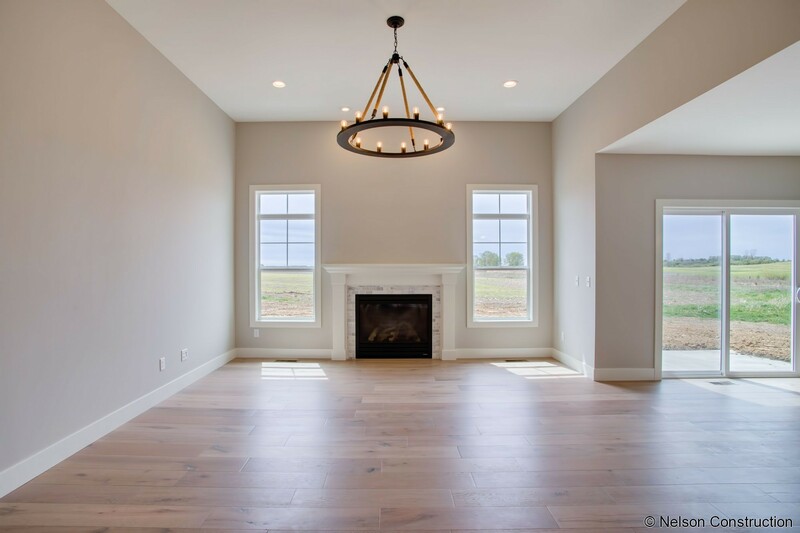 The great room transom windows flank a gorgeous marble-tiled fireplace and allow sunlight to flood this thoughtful, open floor plan. 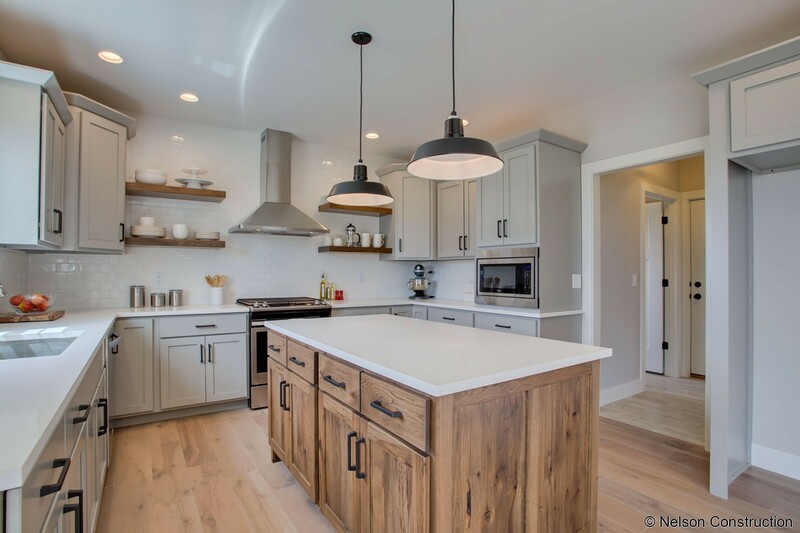 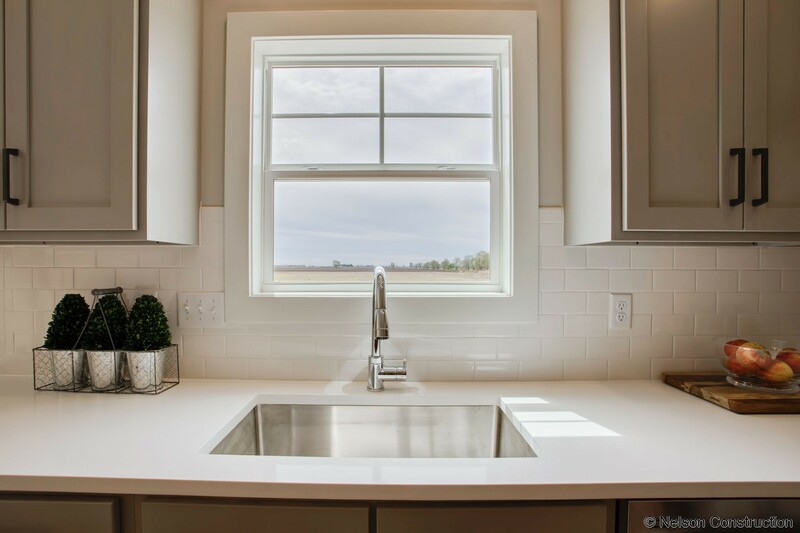 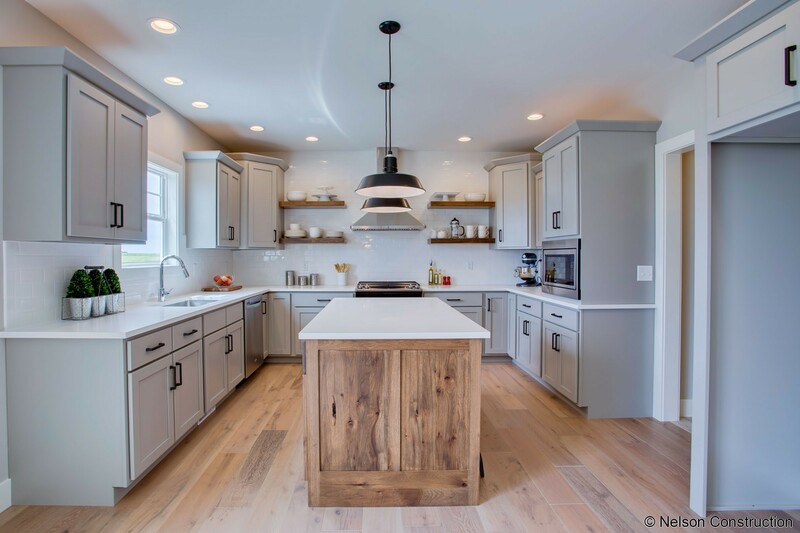 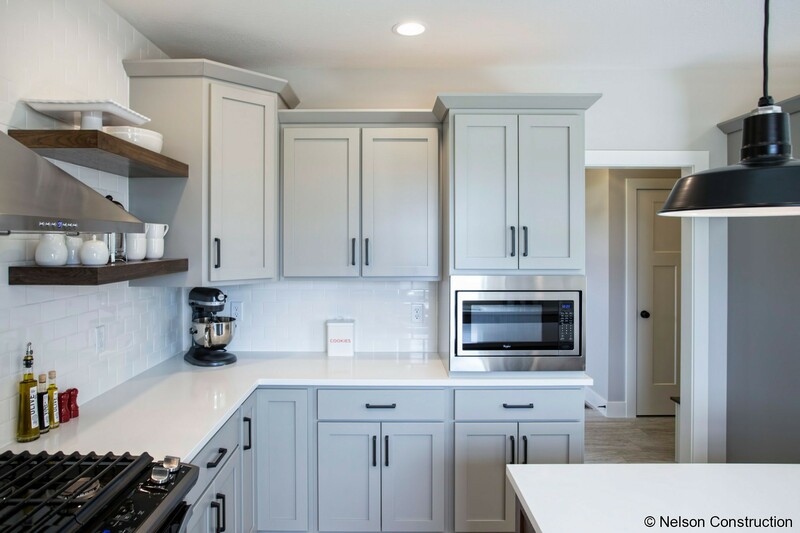 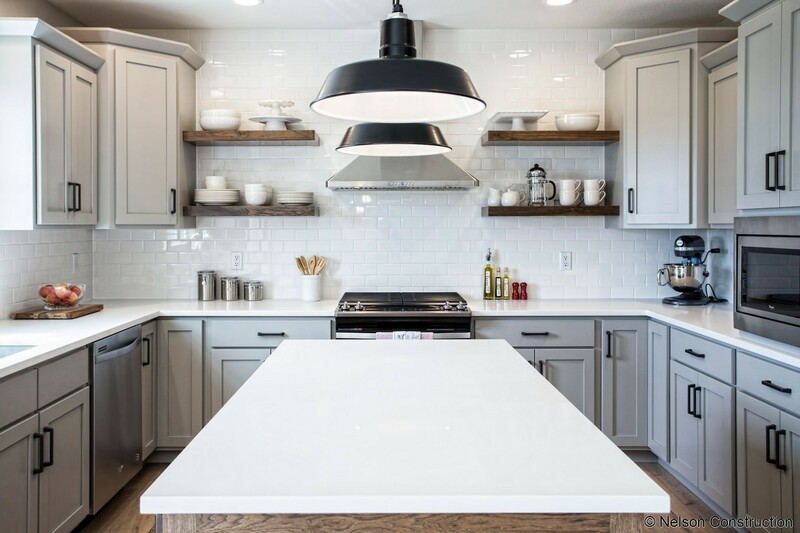 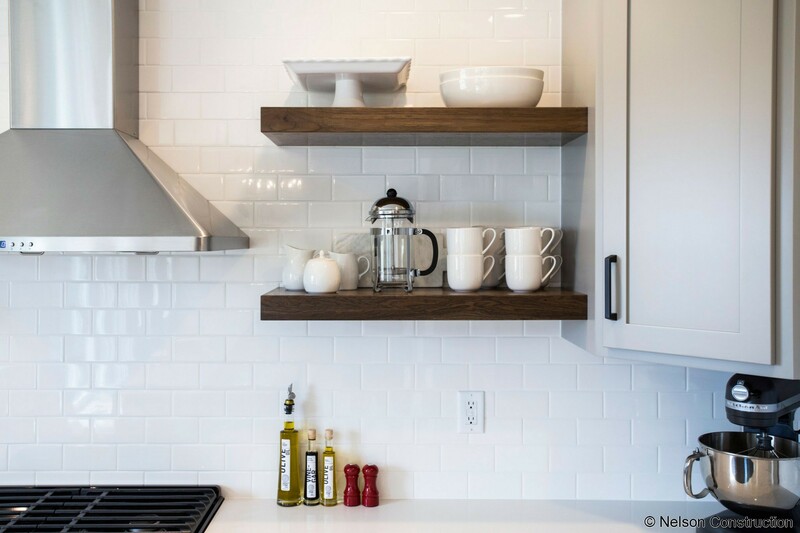 The Pinterest worthy kitchen includes Amish made, light grey, painted cabinetry, quartz countertops, an upgraded stainless slide-in range, wall-mounted range hood, large pantry, built-in microwave cabinet, and rustic hickory floating shelves. 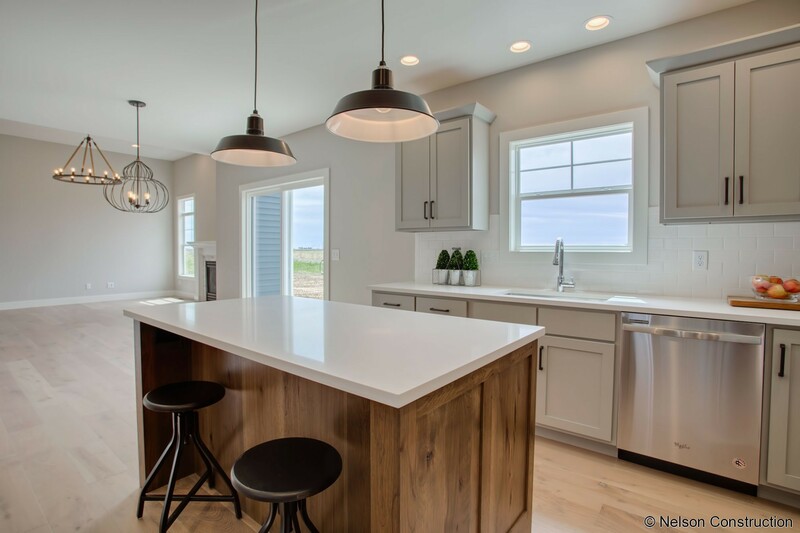 With a large island, eat-in kitchen area, and separate dining room, this floor plan offers a perfect space for all sizes of entertaining. 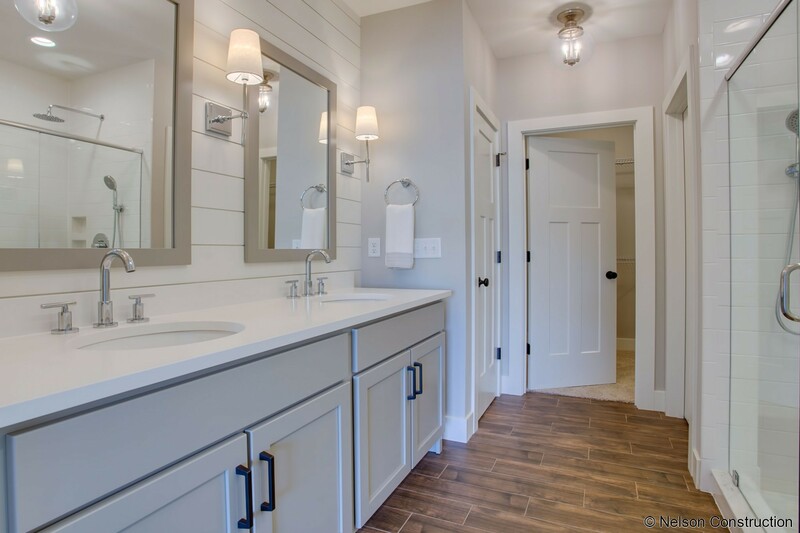 A walk through the main level master suite leads you to a massive walk-in closet and large en-suite featuring a seven-foot tile shower with marble mosaic floor, shiplap accents, painted freestanding double vanity, and water closet. 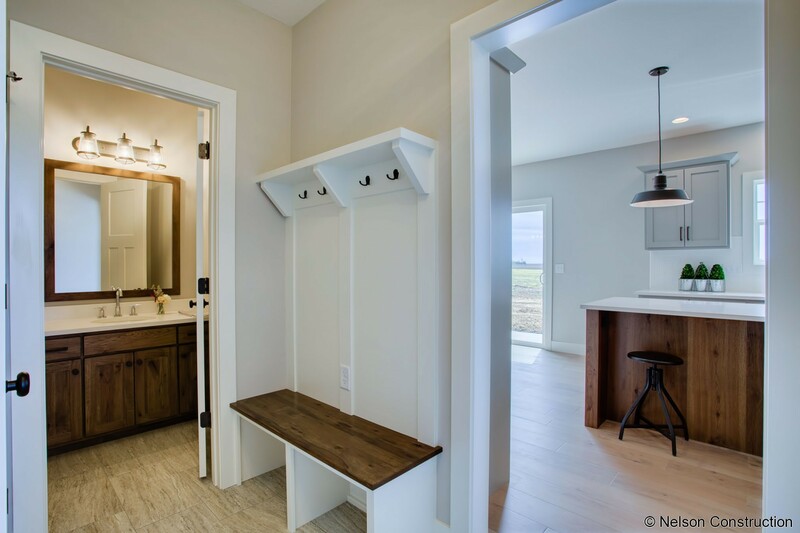 Walk-in closets can also be found in two of the three sizable upstairs bedrooms along with additional hall storage. 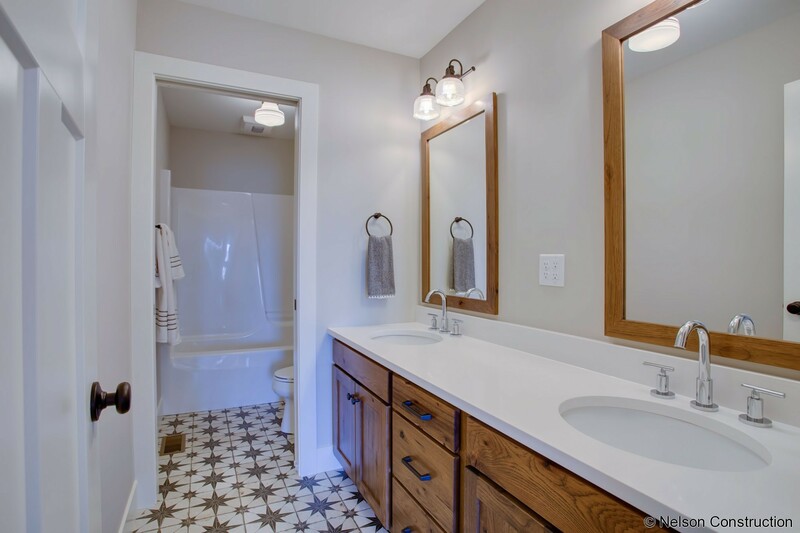 The upstairs bath features vintage-inspired tile flooring, a double vanity, and separate water closet and shower. 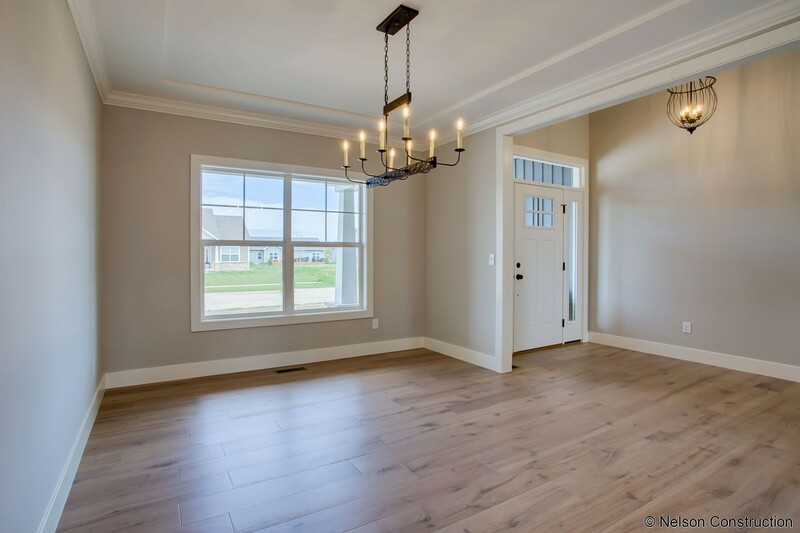 This is a beautifully designed home with great attention to detail, but design is not our only priority in new home construction. 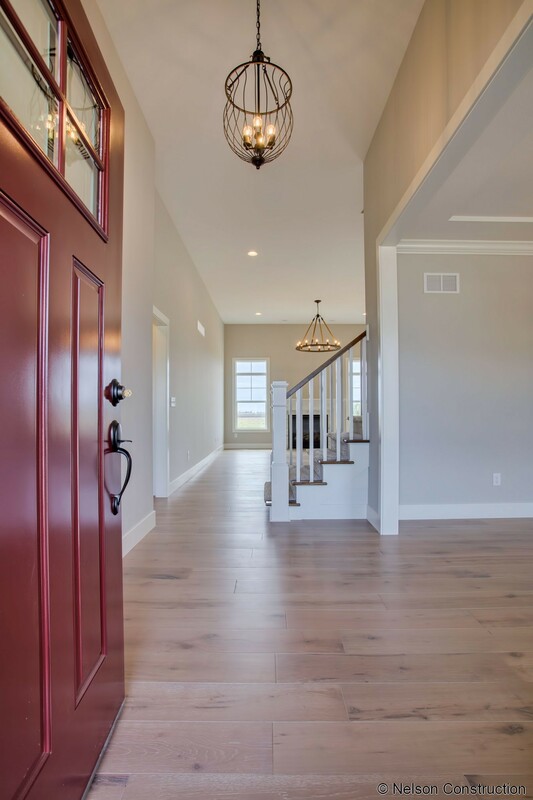 At Nelson Builders, our commitment to energy efficiency means this, and every home we build, will be designed to earn the ENERGY STAR certification; going far beyond todays building codes to bring you real savings. 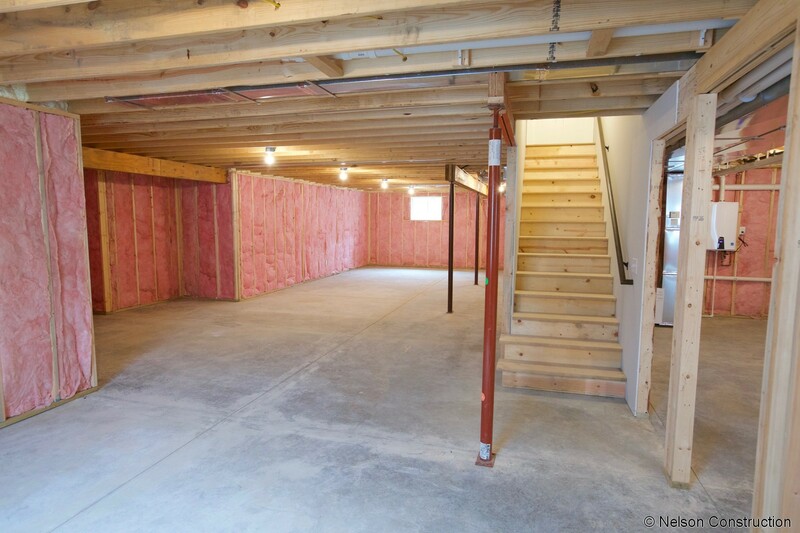 We accomplish this by using advanced framing techniques, a combination of spray foam and blown-in cellulose, and continuous foam sheathing on the exterior with all the seams taped. 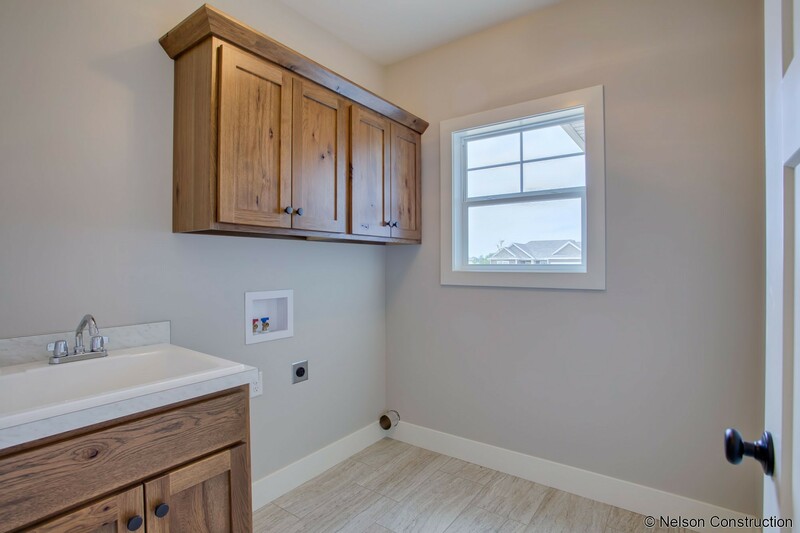 In addition, painstaking attention to air-sealing is maintained throughout the building process resulting in homes that have the lowest air-leakage our independent rater has ever seen in standard construction. 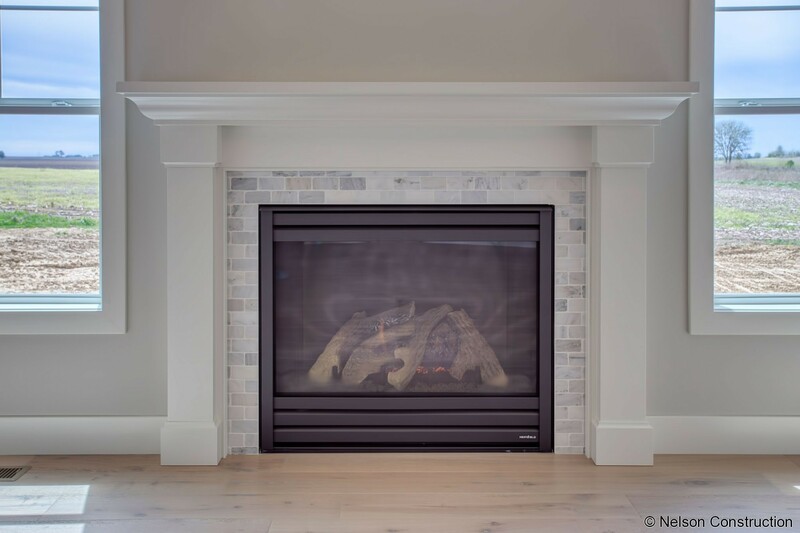 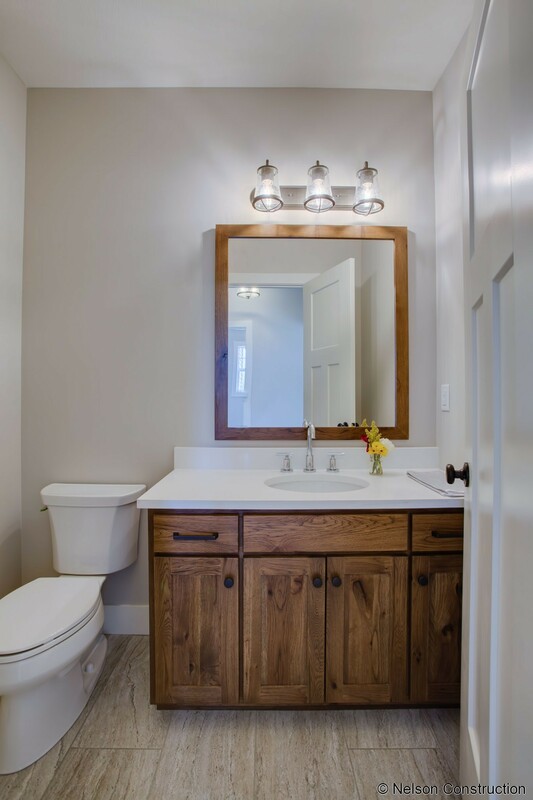 Going further, we install high-efficiency mechanical systems and every home we build comes standard with a tankless hot-water heater, 96.5% furnace with 14.0 SEER A/C, and 100% LED light bulbs in all fixtures. 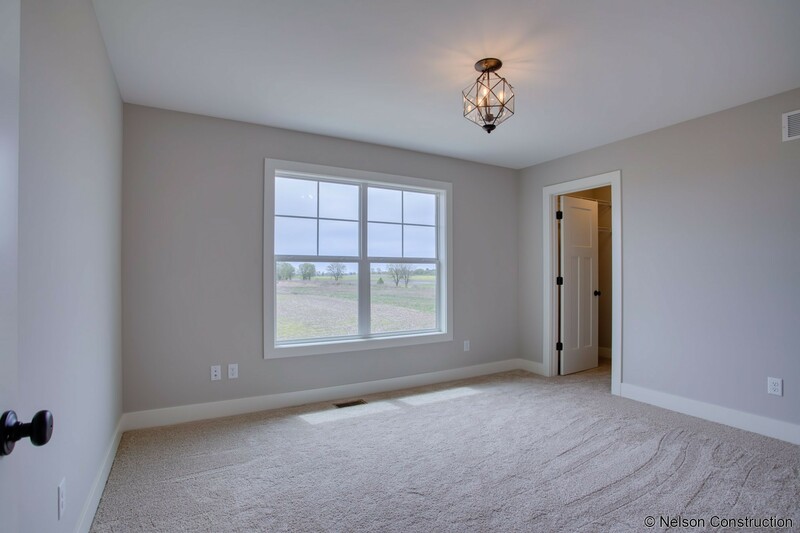 Take a moment to compare and you will find no one comes close to our pledge on energy efficiency! 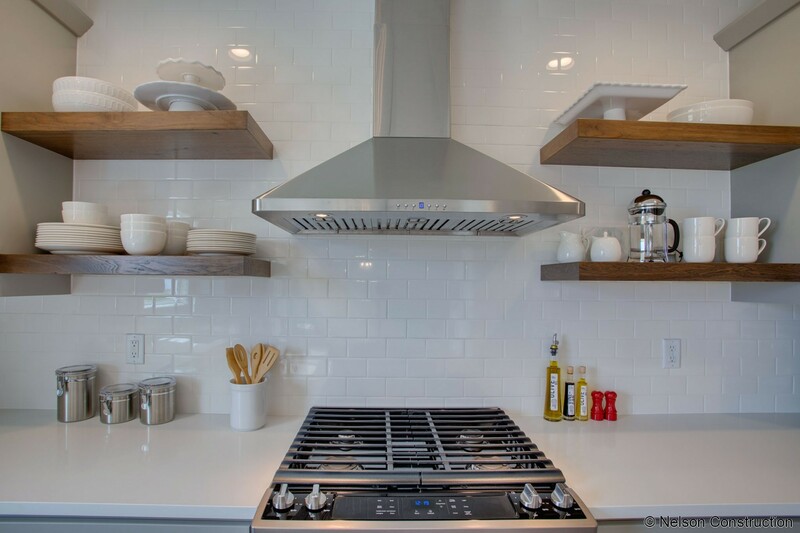 Owner is a licensed real estate broker.